Can you believe Spring is here already?! What happened to Winter? It came and went, and all of the snow is already melting. 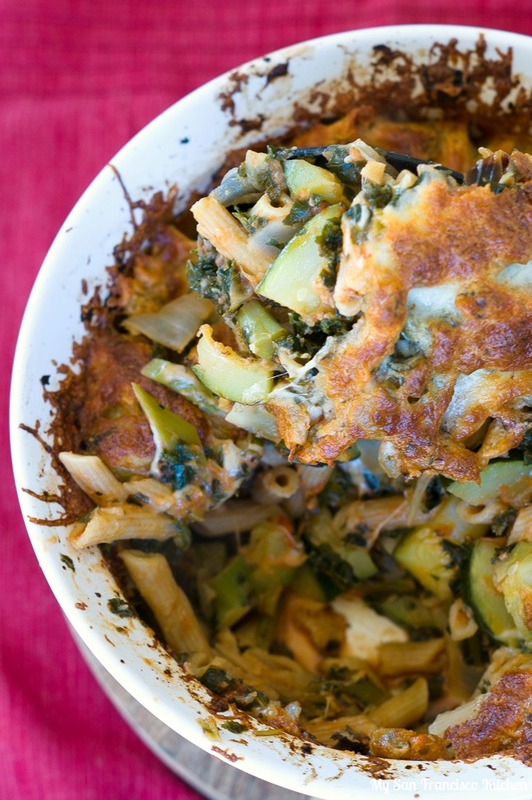 I am still enjoying warm home-cooked meals, like this kale and zucchini baked ziti. 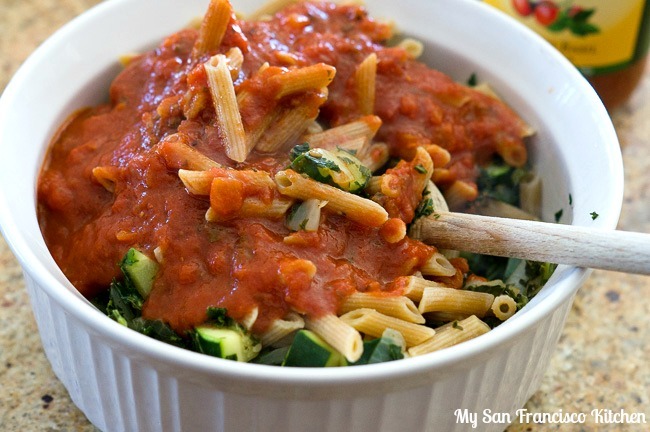 The zucchini is pre-cooked with onions and garlic in a skillet, and then tossed with organic chickpea penne pasta and sauce. 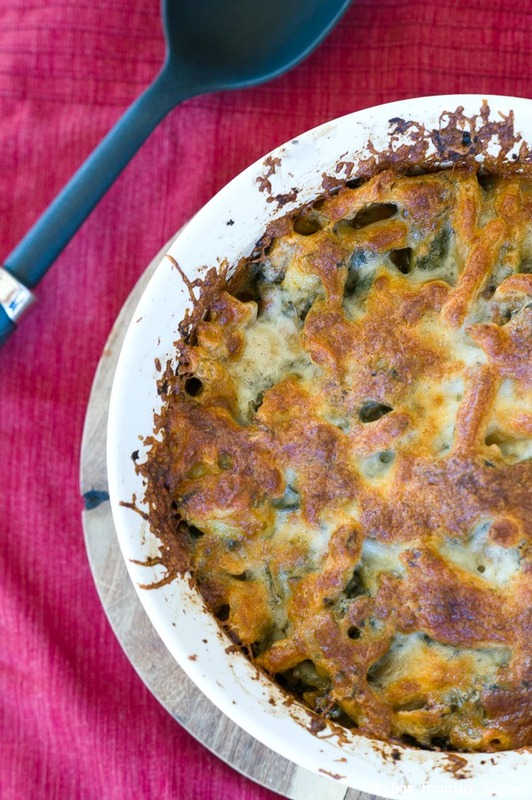 My favorite part is the melted cheese on top, yum! I got to try this delicious chickpea pasta in my Degustabox this month. You may have seen me mention it on here before, but just in case you aren’t familiar: Degustabox is a monthly surprise subscription food box that contains 10-15 food products delivered right to your door. Shipping is always free. 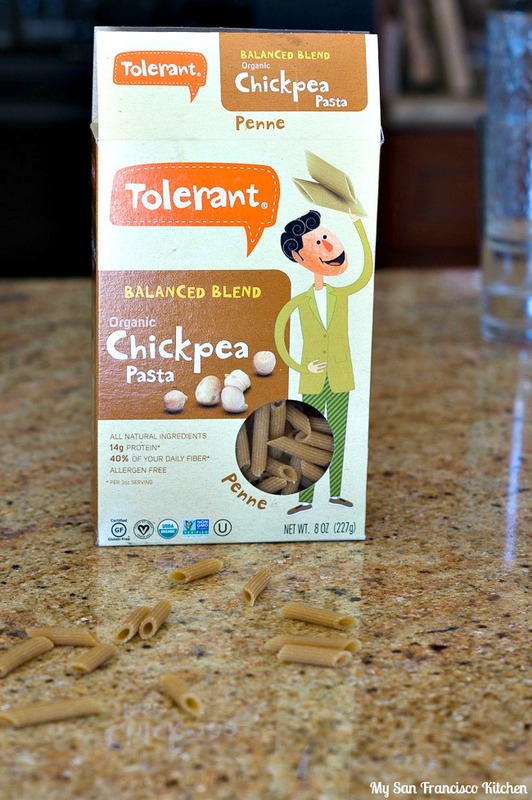 I love getting to try new products I have never seen at the grocery store before, like this chickpea pasta. I am discovering new favorites all of the time. Are you bummed Winter is over? Or are you still enjoying all of the nice things that come with it like hot cocoa, soups and warm pasta dishes? 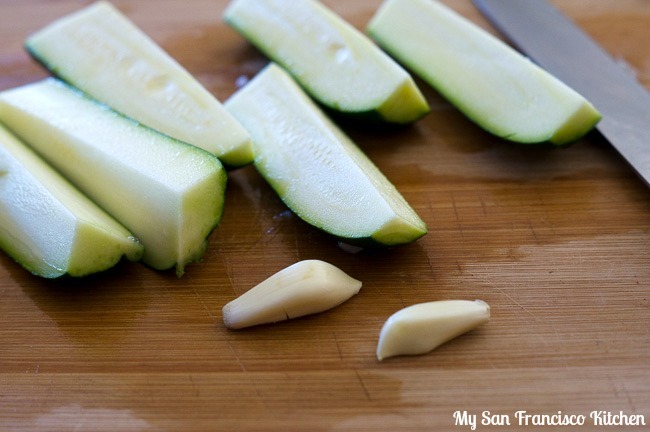 Heat the oil in a skillet and add the onion, garlic and zucchini. Cook about 7 minutes, until tender, mixing occasionally. Cook the pasta according to package directions, drain and add to an oven-proof baking dish along with the zucchini mixture. Add the kale, pasta sauce, pepper flakes and stir. Top with the cheese and bake in the oven about 20 minutes, until cheese beings to brown. This entry was posted in Dinner, Italian, Lunch, Vegetarian and tagged kale, mozzarella cheese, pasta, vegetarian, zucchini.